Finalizing Tuning of “Dynamic Range”. 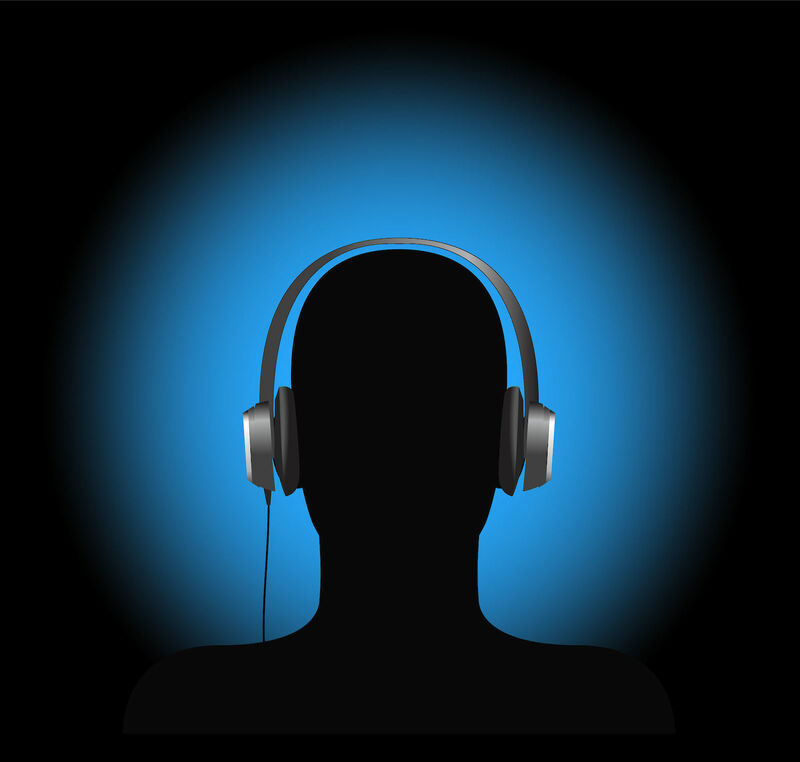 During focused music listening - at relatively high volume, in a relatively quiet environment - a listener can enjoy the dynamics, the way it was intended by the recording producers. When music is being played softer than for what it was mixed and mastered for, large dynamic range requires extra listening effort on the softer parts of the music, causing fatigue or loss of focus. A noisy environment makes the issue even worse. It would in a way be desirable that one could adjust the dynamic range of music to one’s liking and listening situation. 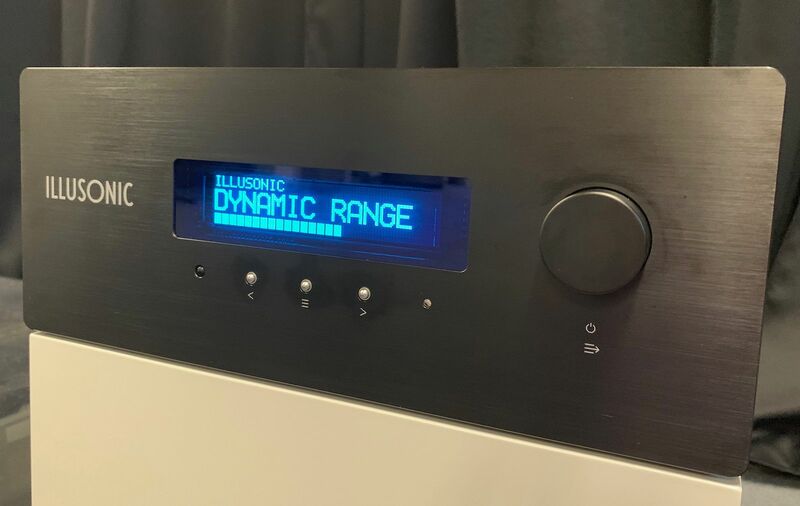 This is exactly what Illusonic’s new Dynamic Range (DR) technology does. DR can be set between 0 and 100%, whereas 0% puts music to constant loudness, 50% reduces dynamic range by half, and 100% keeps the full dynamic range (= DR off). 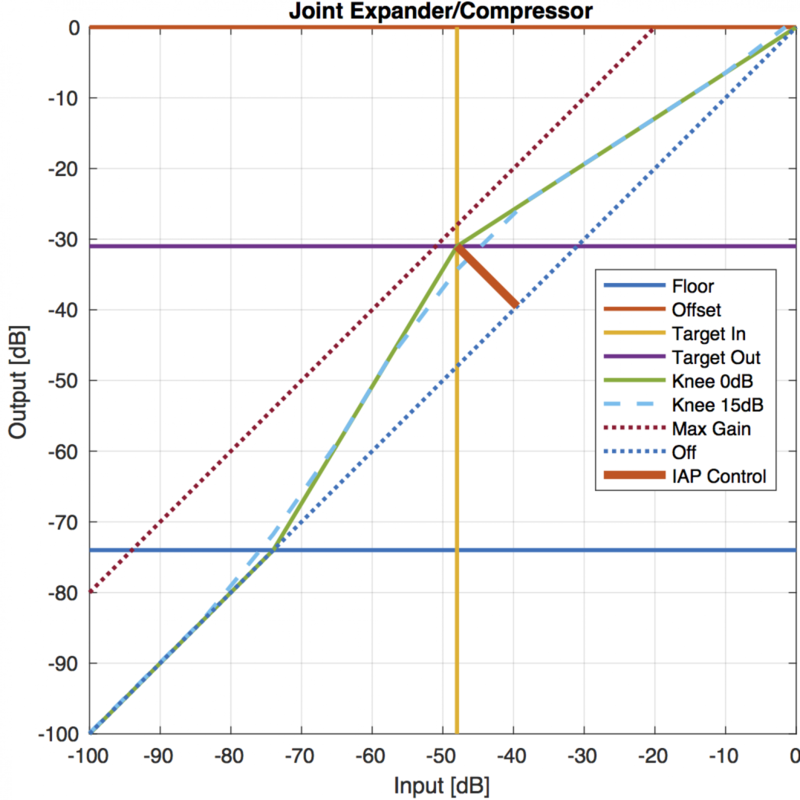 Technically, DR is implemented as a multi-band expander-compressor, with individual parameters for each band. While each band acts individually to prevent overall gain modulation, the bands are jointly controlled, avoiding spectral changes and coloration. 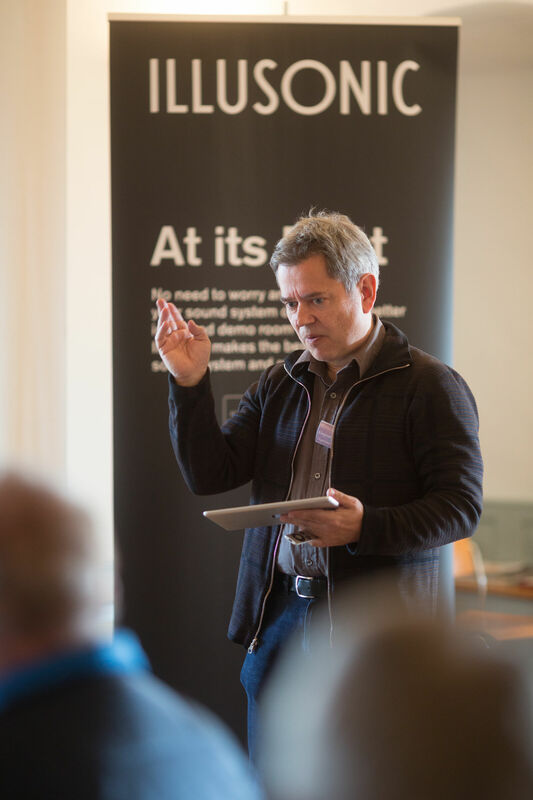 Having recorded, mixed, and mastered more than 1000 music productions, Patrik Schwitter has the ideal experience giving input for and tuning DR. Prior to the tuning sessions, he gave input on what he would need and the specific multi-band decomposition. 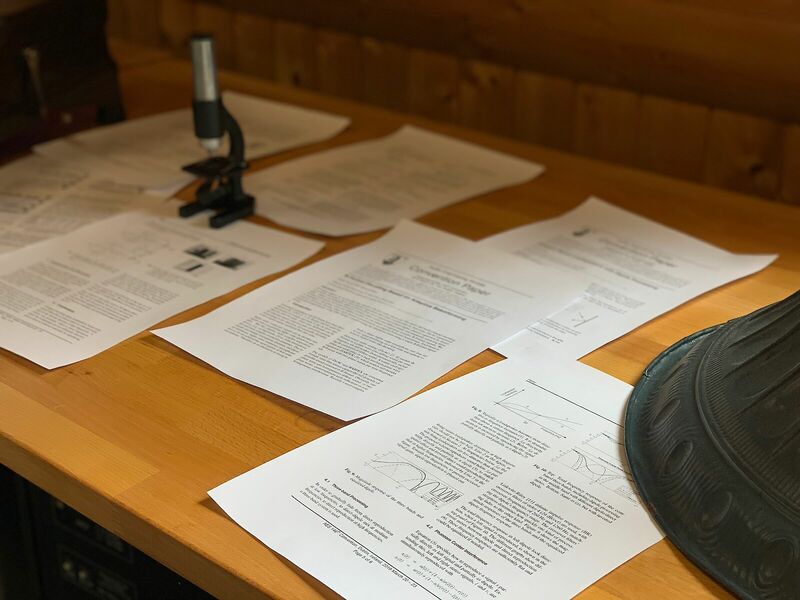 Last week, we started tuning DR for its most difficult operating point, 0%, that is constant loudness music reproduction. This is the most difficult case in terms of artefacts and undesired changes to the music. 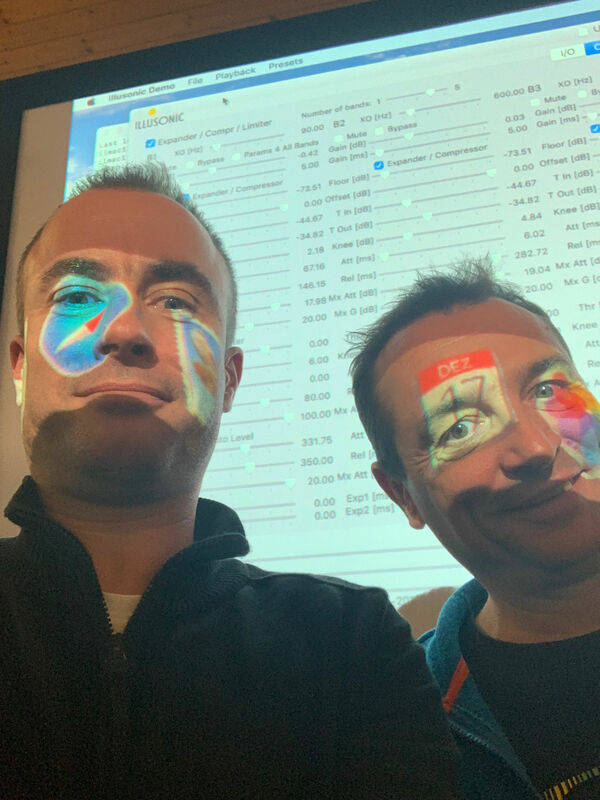 Today Patrik Schwitter came for a second full day to tune DR. The parameters for the different bands were individualized to further optimize quality. 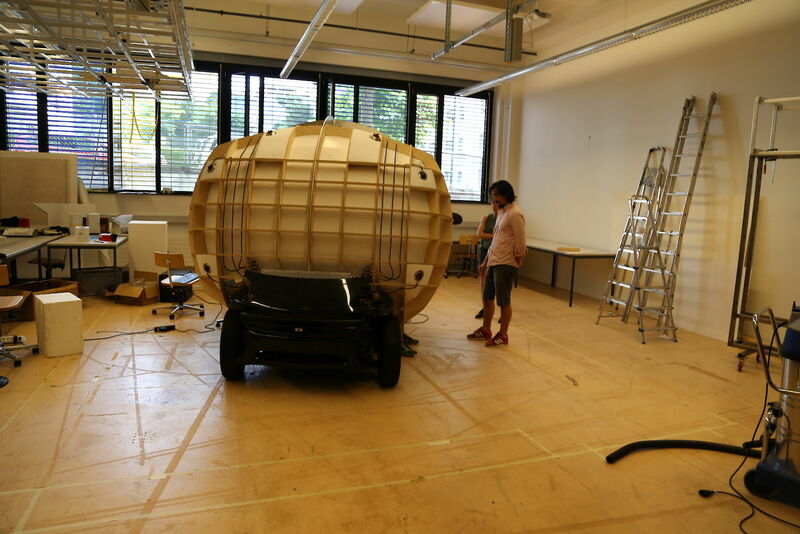 Last but not least, the scale from 0 to 100% was optimized and its 50% point determined. 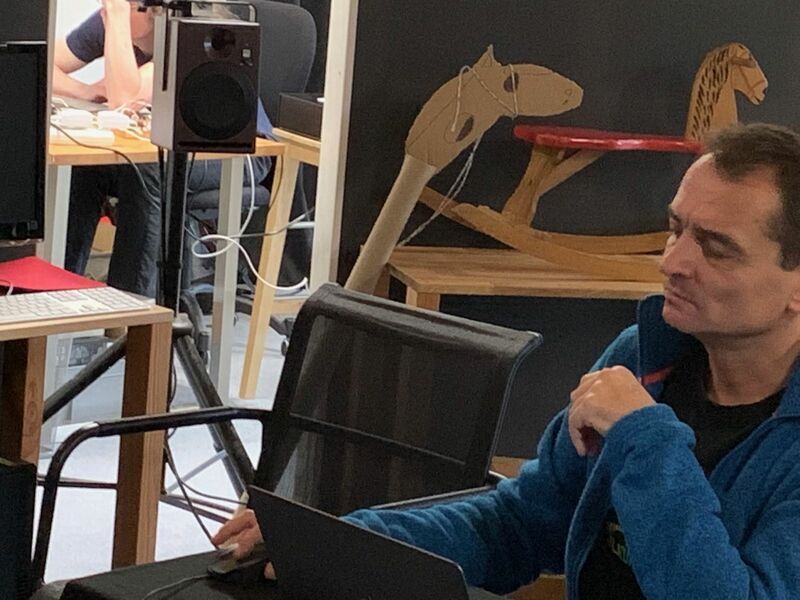 “I find it surprising, that there are no artefacts, very natural, like the music interpreted with less dynamics,” said Patrik Schwitter after his tuning sessions. I am surprised, too! The goal was clear, but I was not sure how good the result would be. This algorithm is not an auto-gain-control type of volume adjustment, but kind of a dynamics-remastering. You do not hear volume follow, level is right there, right away. Patrik tested with Jazz music he recorded many years ago, where from his point of view now, he kept a bit too much dynamic range in the recording. A perfect test case, which worked well, like remastered with less dynamic range. Another interesting case was “Nickelback” where pink noise type music suddenly transitions to solo singer and one hears the brickwall limiter of its original mastering follow with a delay. Interestingly, in this case DR reduced the pumping, it worked like inversely to the recording’s inherent limiter, making it sound more natural. (I don’t claim things sound always more natural with DR, this was an interesting particular observation). 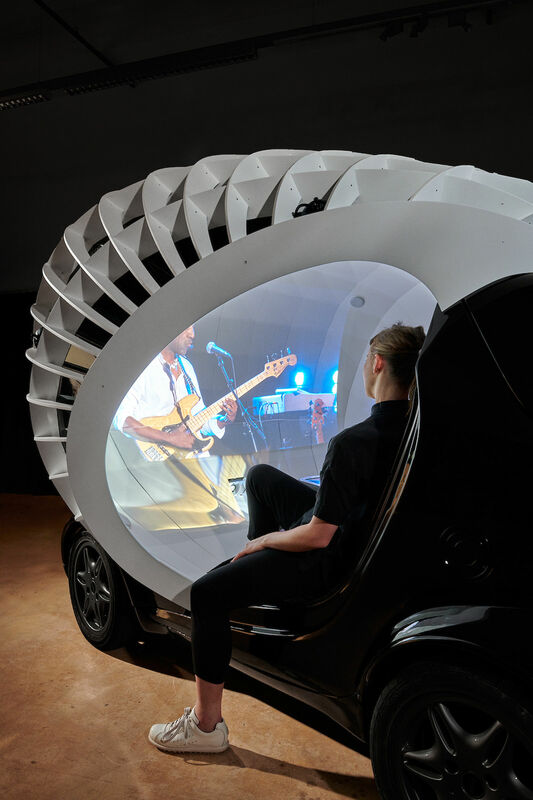 Need acoustic treatment but can’t do it? Try the updated Clarity feature! 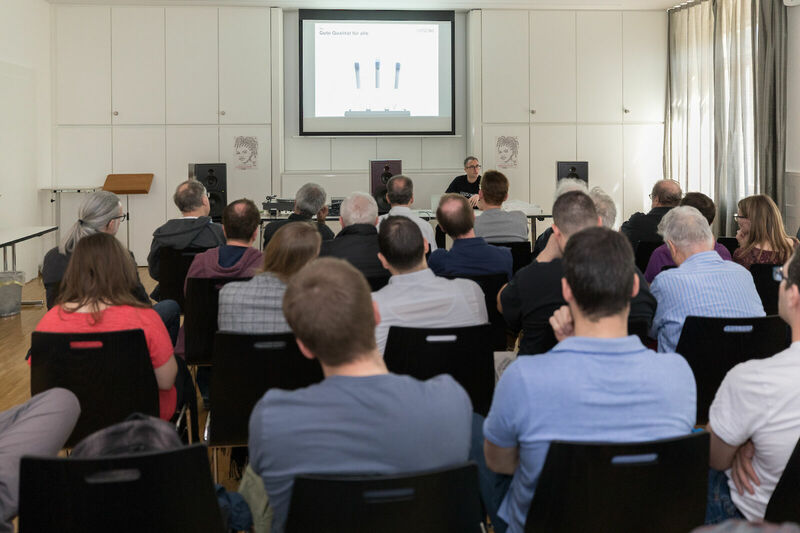 IAP Spring 2019 Update will be demonstrated at High End Munich 2018 audio show. Visit us in Room F231B (Atrium 4). Release is due in May shortly after the show. We have worked a full year on this update and folded in more new features than we thought we would release. Clarity has been re-developed from the ground up and is now patent pending. It precisely attenuates power in time and frequency such that after your room “is applied” the recording will be maintained more precisely, with less room interaction, in time and frequency. 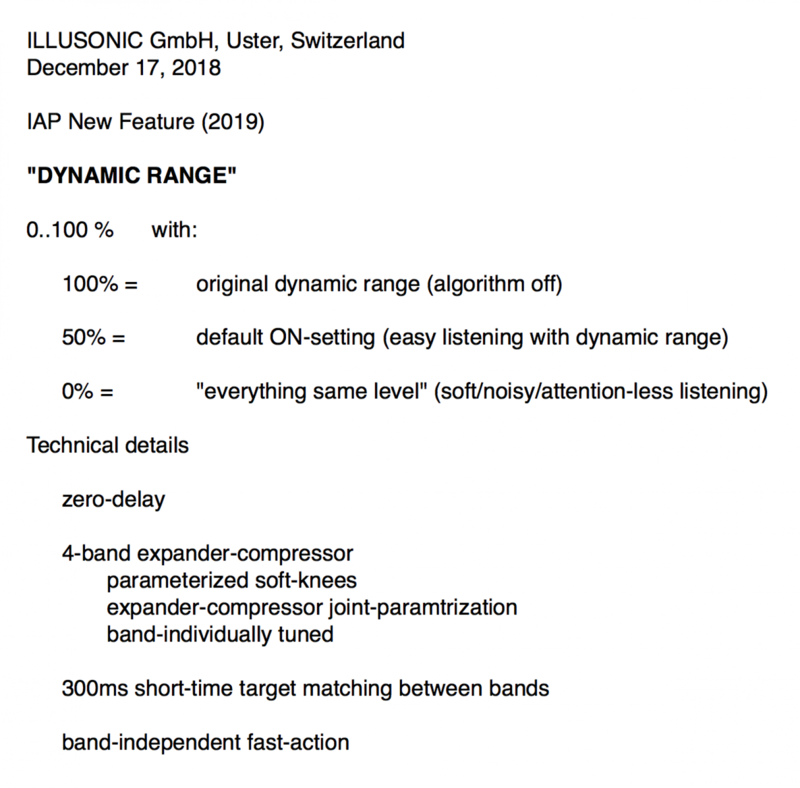 Dynamic Range, technically speaking a multi-band expander-compressor with interband information exchange to prevent coloration, re-masters music and movies such that they have less dynamic range. Why would one want to do this? For casual listening, soft listening, less dynamic range reduces fatigues and prevents that you’d desire to change volume frequently. Clarity and Dynamic Range are part of sound settings presets. For long on our to do list has been to simplify upgrading of IAP firmware and software. Now IAP Configuration software automatically detects when IAP is outdated and allows to update IAP directly, while maintainning all parameters. Along with this we were able to greatly simplify the IAP firmware/software package. 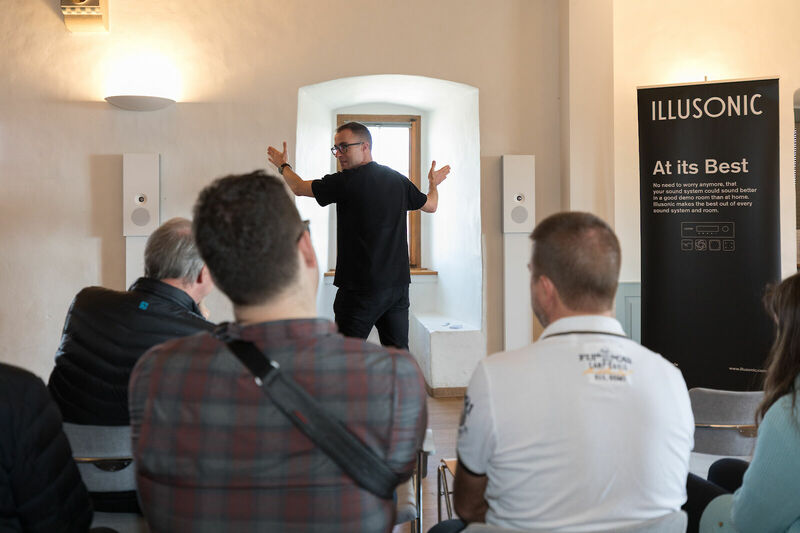 This year, we were exceptionally involved at the Klangschloss 2019 audio show in Greifensee Switzerland. 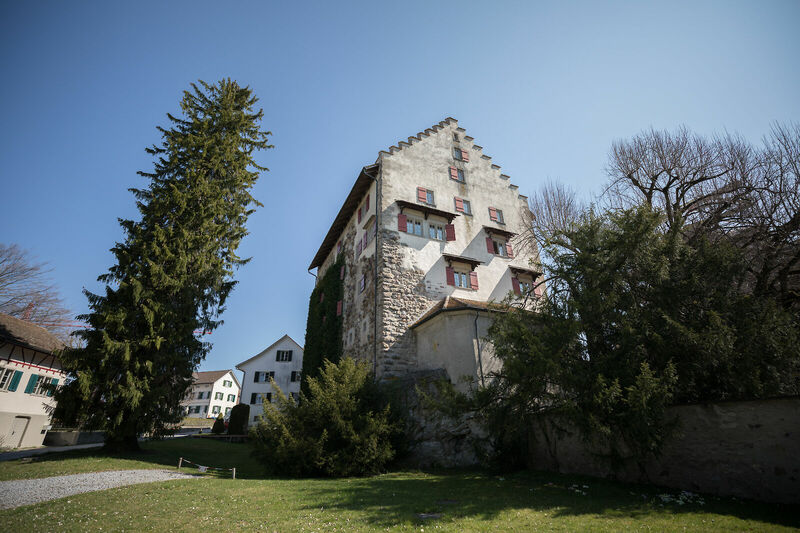 The show takes place in a medieval castle embedded in a picturesque location at a beautiful small lake. 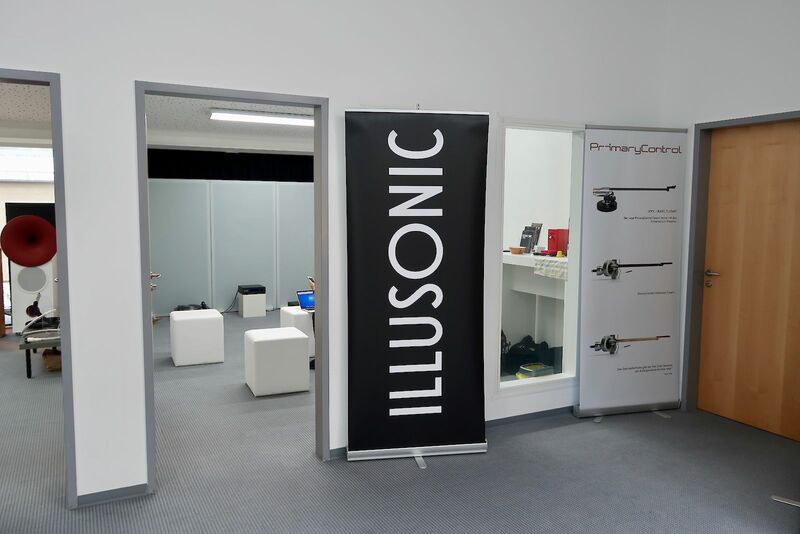 The show is just 3km from Illusonic offices in Uster, our “home audio show”. 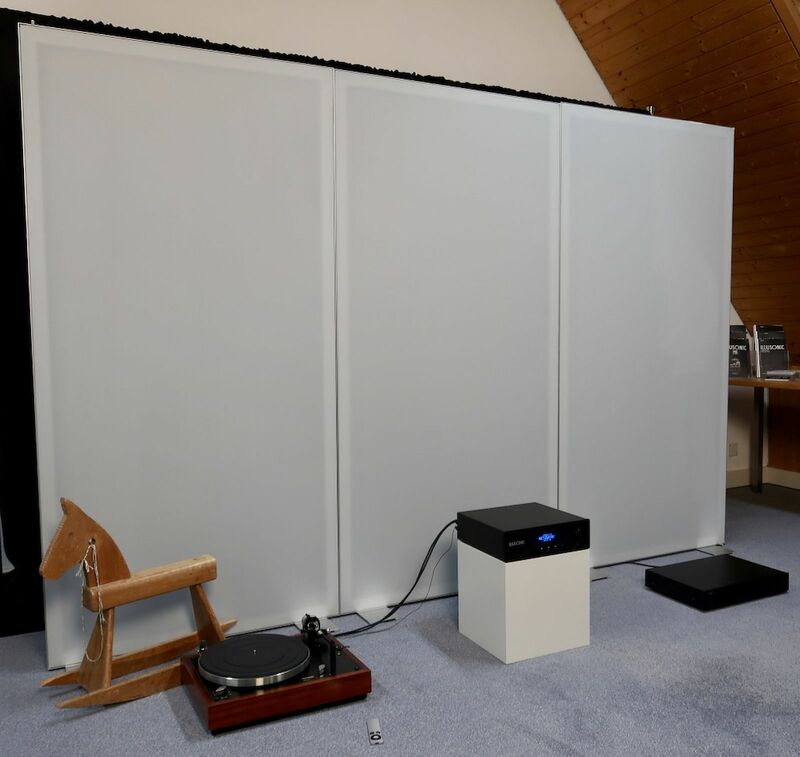 On both days, we had two times one hour “Showcase” with Klangwerk, Zurich-based loudspeaker manufacturer and organizer of Klangschloss. 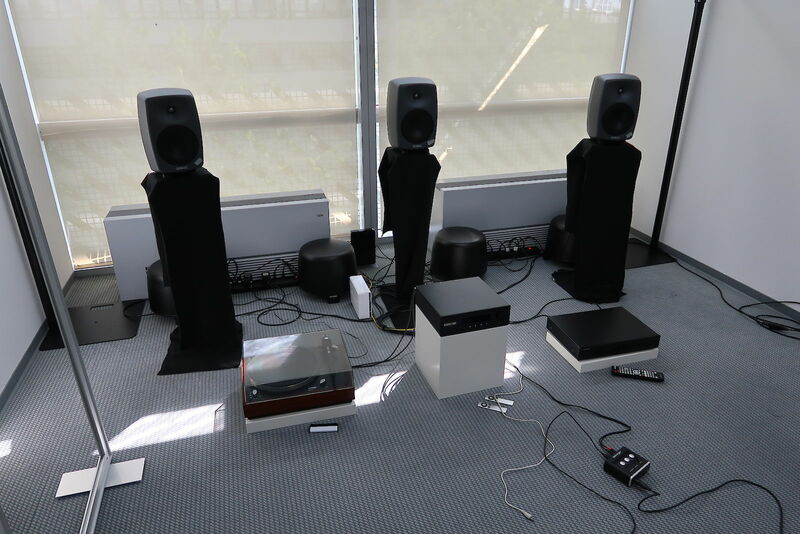 We showed a 3.1 setup playing stereo music via a 3.1 loudspeaker setup. IAP converted stereo music to 3.1. 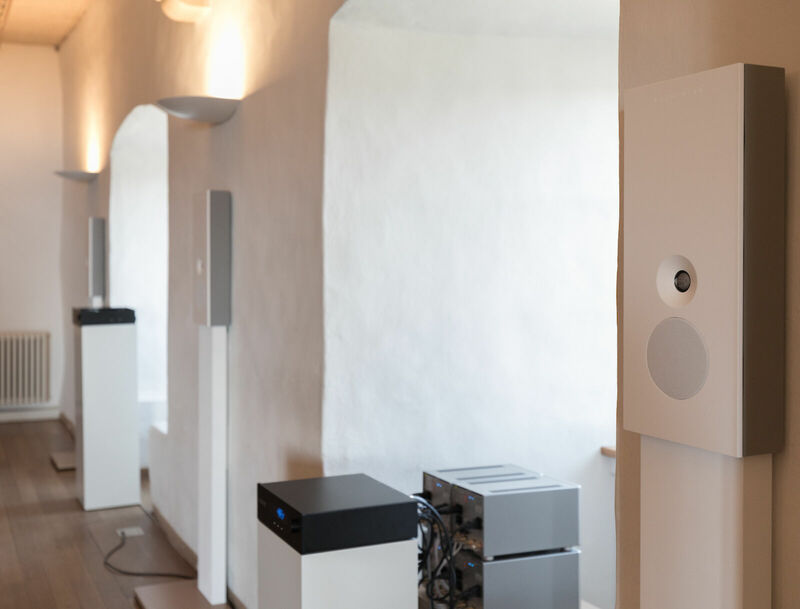 Beautiful wall-mount Klangwerk loudspeakers were used. Sound worked especially well this time, despite of challenging castle acoustics. Was it Clarity II which made the difference? 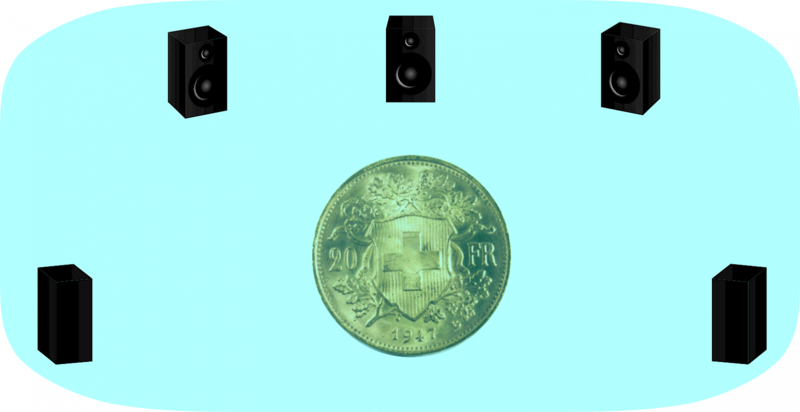 Or the on-wall loudspeakers with little back-reflection interferences? 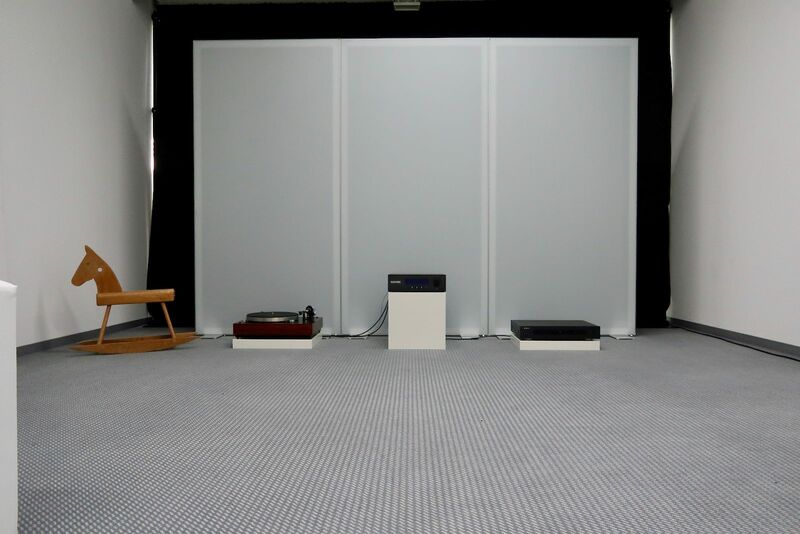 Or the nice closed-box subwoofer from wavecontrol.ch Daniel Müller? I guess a combination of things. 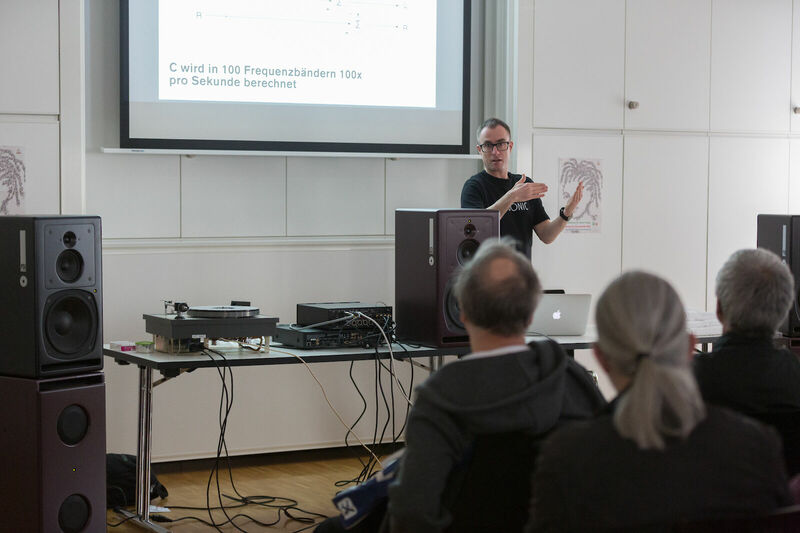 On Saturday I gave a seminar in Klangschloss’ conference room about stereophony and center channel/loudspeaker. 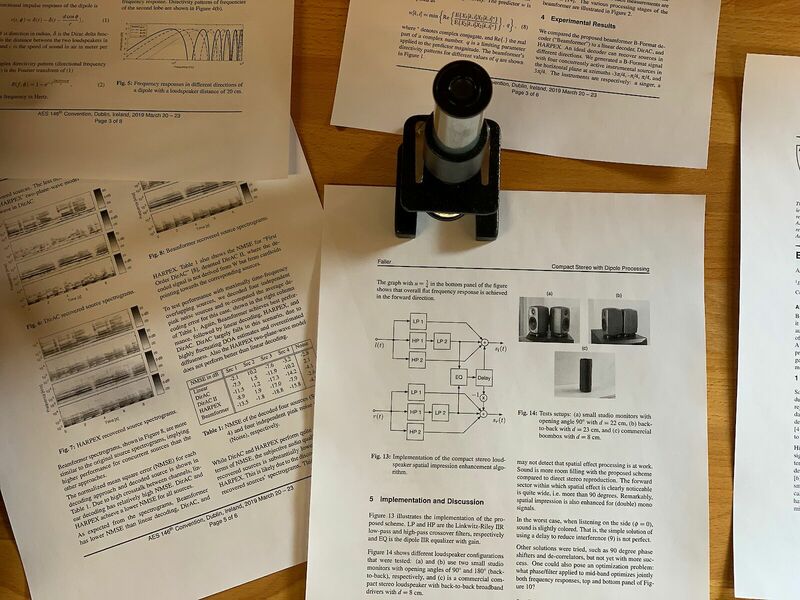 I reached out quite far back in history, to first center channel proposals from Bell Labs in the 1930’s, to Klipsch three channel system 1950’s, and finally to Illusonic’s modern DSP-based stereo to 3-channel conversion. Many thanks to Klangwerk and PSI Audio for their collaboration and support! 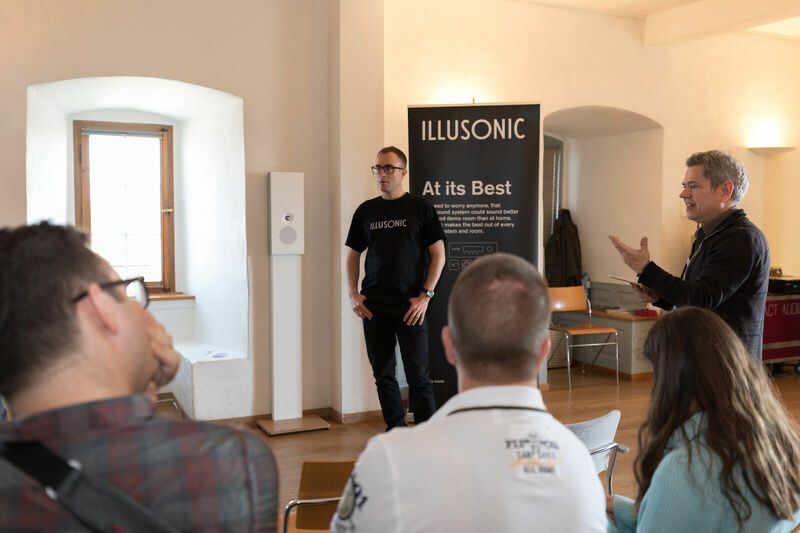 Illusonic presents its latest innovations at preeminent pro-audio convention. AES Convention is the preeminent bi-yearly gathering for professional audio research, education, and networking. 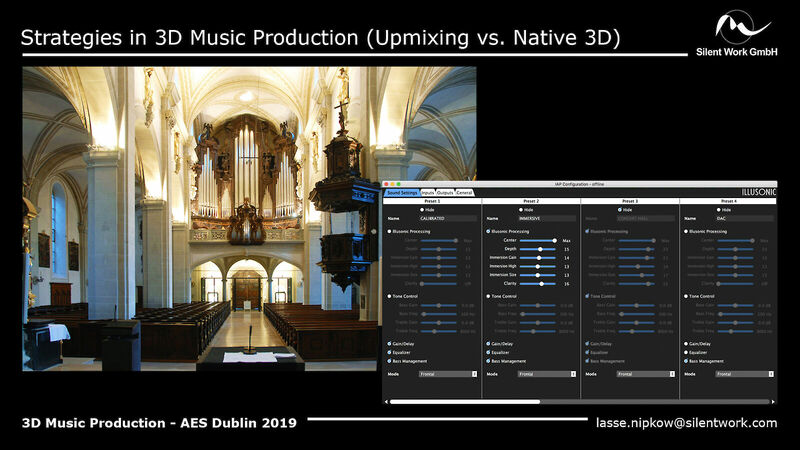 If your interests include Studio Recording, Live Sound, Networked Audio, Broadcast & Streaming, Music Production, Post Production, Game Audio, Spatial Sound, Audio for AR/VR/XR and Product Development, AES Dublin is the place to be! 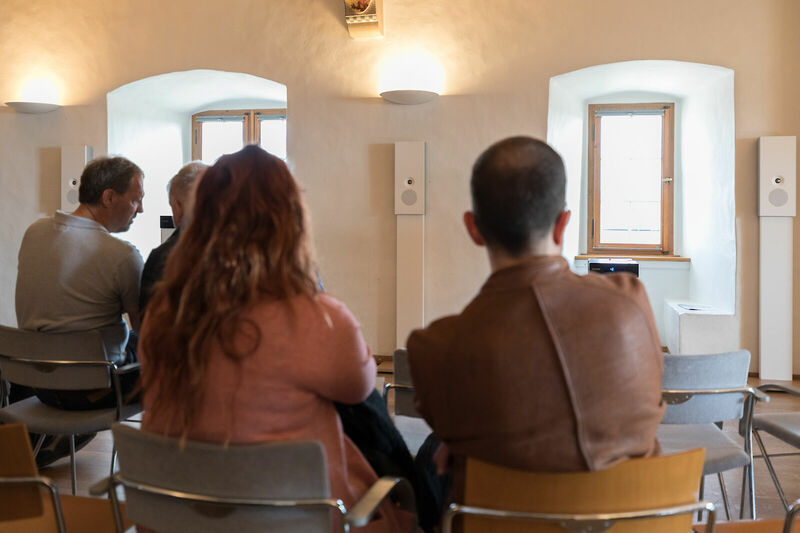 Whether you are an end user, researcher, educator or student, the convention is the place to Listen, Learn and Connect. 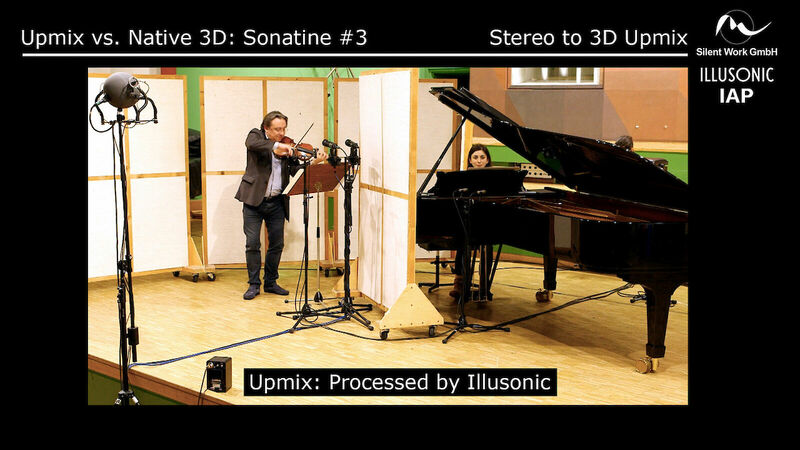 Come and listen to great native 3D music productions, and compare them to Illusonic Immersive Upmix! Modifies different objects in A/B-Format separately! 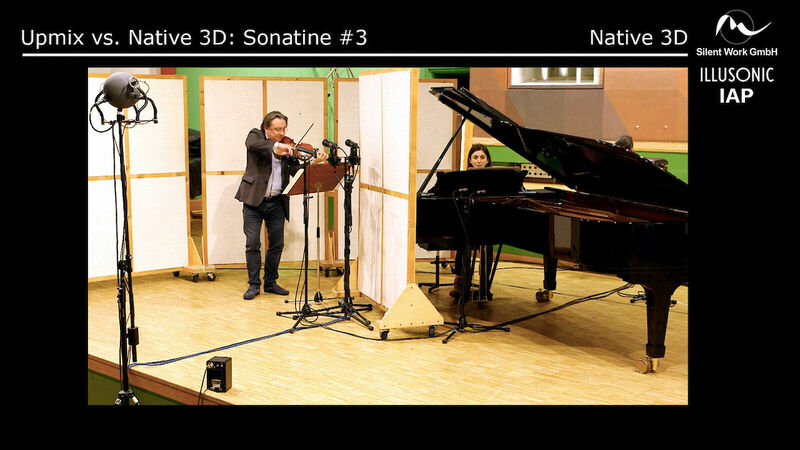 There are only limited possibiliites in post-production for live for VR recordings (A or B-Format). Illusonic Spatial Equalizer inputs A/B-Format and outputs B-Format. Different objects and instruments can be equalized separately, including changing their gain. Integrating Dynamic Range into IAP’s digital signal processor. While scheduled for an IAP release 7.1, coming in Spring 2019 time frame, I got very impatient to try the new Dynamic Range feature under real-world conditions. 8 channels and 4 subbands makes effectively 32 audio channels to be processed. On a memory sparse DSP, a challenge. Alone the crossovers need 96 biquad filters! Additionally 16 filters are used for loudness weighting and another 24 filters for filterband equalization - a total of 136 biquad filters !!! Besides of the filters, the expanders/compressors process the 8 channels of each of the 4 subbands. Managed to get it to run on the second day of DSP integration work. 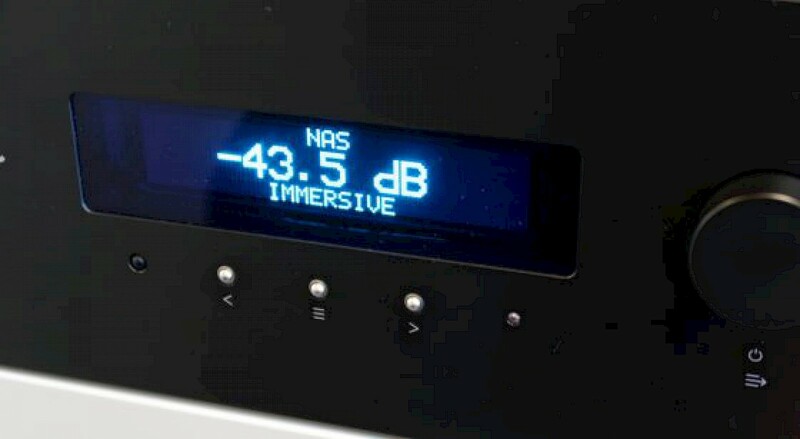 Running IAP at maximum processing case (room eq, crossovers, bass management, 7.1-in 15.1-out immersive), the DSP has 74% and 96% processing load without and with Dynamic Range, respectively! IAP without Dynamic Range now requires a bit more processing load, since I had to move some memory from Immersion to slow external SRAM. 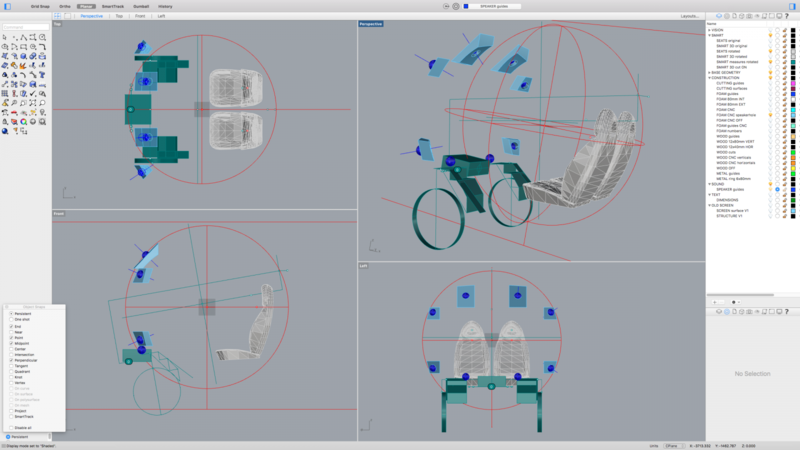 That is, without detail optimization, we just tightly made it! Plan to optimize a bit later, to get again more DSP margin. In addition to the main news here on the blog, we post weekly and sometimes even daily news on our Facebook page. Current IAP owners can upgrade their IAP to HDMI 2.0b for CHF 800.00 (Swiss Francs) plus shipping. Inputs 1 and 2 are configured for HDMI 2.0b / HDCP 2.2. Inputs 3 and 4 are configured for HDMI 1.4 / HDCP 1.4, because many legacy devices out there do not know how to handle HDCP 2.2. You instantly will notice usage refinements. Starting from the new minimalistic “Welcome” and “Bye” messages on IAP’s display. Or, when you are far away from IAP, you are now able to read the display. 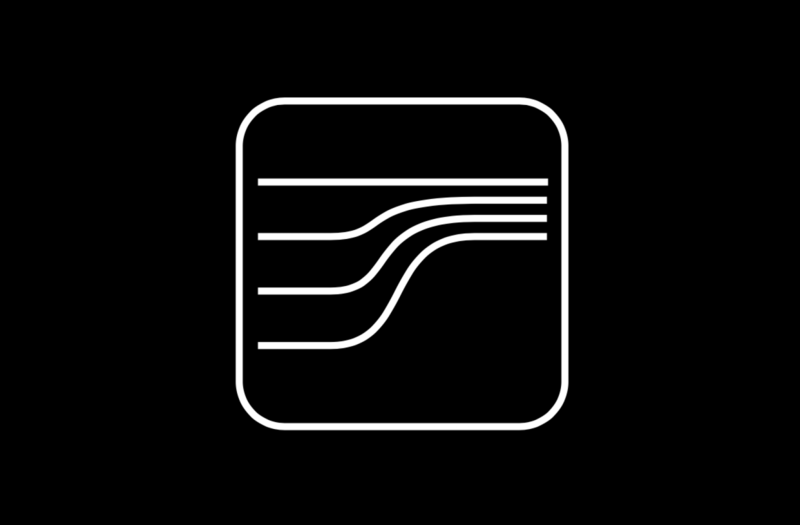 Auto zoom adaptively magnifies the most important information on IAP’s display. For example, when you change volume, you see the current level large on the display. The complexity of menus is now hidden for normal usage. You can now change sound presets without going to the sound presets menu, and always modify volume. Ad hoc settings are now accessible by the touch of a button. Ad hoc settings allow you to adjust the sound temporarily. For example, change balance or subsonic filter. The included all-new owner’s manual is fully up to date with IAP 7.0. 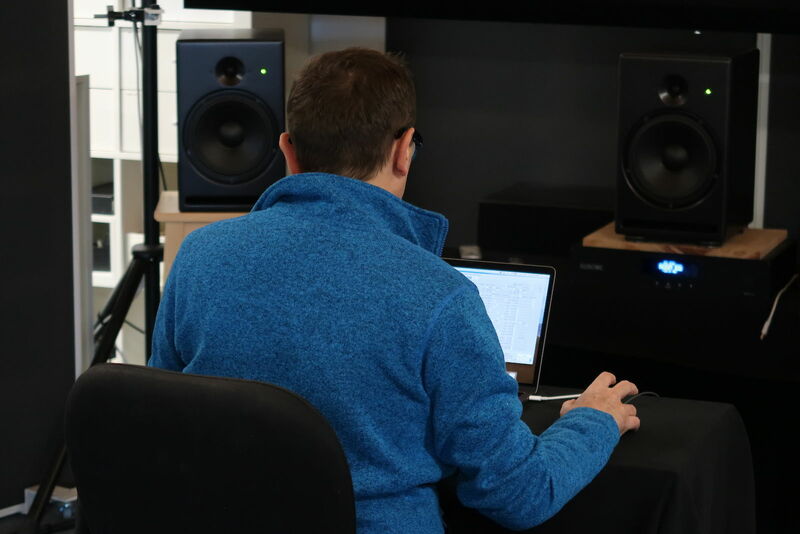 In 2011, when we took on the challenge of designing IAP, we also took on the challenge to refine an upmix-like technology to an audiophile level. It is not that we had started from scratch. We were already several years on the market with several third party upmixers, including a market leading broadcast upmix processor (used by BBC, Sky, etc.). But what a mix! Swiss Made audiophile hardware plus an unorthodox audio algorithm! No one has had the same problem statement as we did. And seven years later, we have achieved more than what we thought was possible. 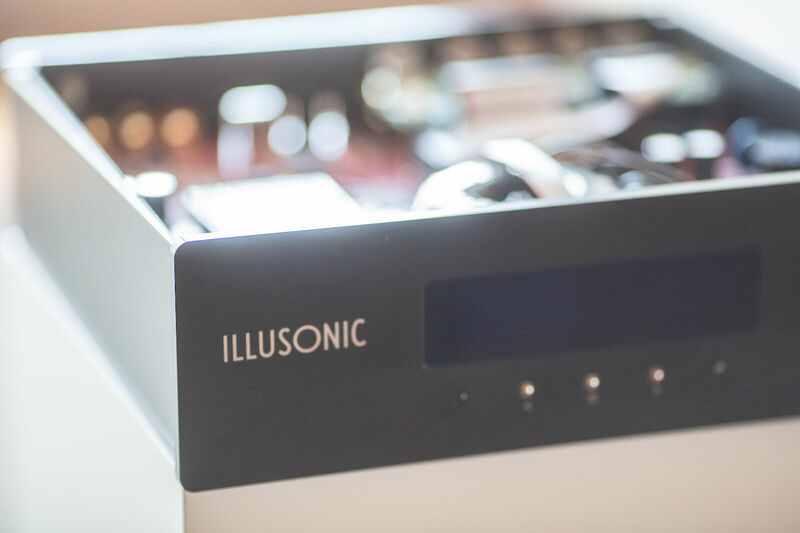 Illusonic Immersive by now sounds so amazing that we are not shy to show it before any audiophile audience. Usually people are puzzled. If we don’t tell them, they do not notice any effect, nor think it is not anymore stereo, just get great sound. Often people do not notice – until we switch to bypass – then a wonderful world collapses into a one-dimensional experience. With this next major IAP update, we have again shown that we long-term support our audio processors. In the consumer domain, it is just normal that after a year or so, hardware is not supported anymore. 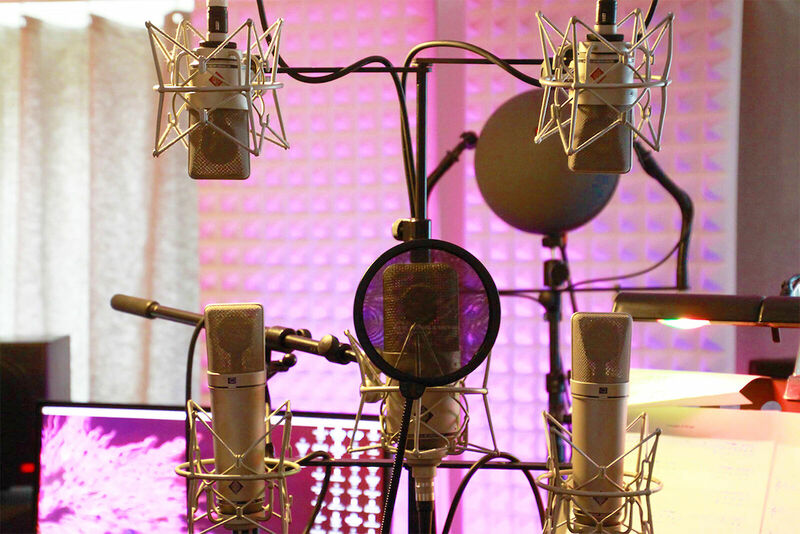 In High End Audio, companies often lack enough software expertise to support customers well. Bugs are not fixed for years etc. For us it is normal to fix serious bugs within days. And about half of IAP’s features originally go back to customer requests (more coming…!). Today the quality of a device is often largely determined by the quality of its software and firmware including dsp software. 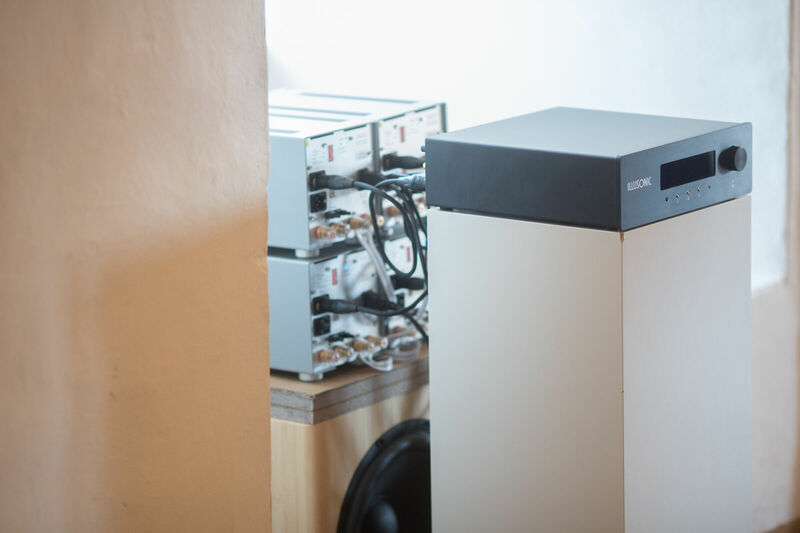 The audio quality of IAP hardware is at a level that other factors are the determining sources of limitation (amplifier noise, recording noise, loudspeaker non-linearities, room acoustics). The differentiating quality and potential lies in the firmware/software! Welcome to the world of IAP. Below is a detailed list of changes of this latest update, compared to the previous major update version (Summer 2018 Update). -rename: IAP Controller => IAP Configuration ! In a way, it acts like adding absorbers and bass traps to your room. A more in-depth discussion is below. The Summer 2018 IAP Firmware/Software updates all IAP models to the latest state. Below are highlights and a detailed list of changes. We showed a pre-release version if IAP 6.1 at High End Munich a few weeks ago. Hiding audio equipment behind a sound transparent wall, people came to our room, more to listen, less to look. We have never gotten as positive feedback on the sound on a show before. We have had surprisingly transparent sound, people noticed that by listening. No need to talk about it. Believe it or not, but good musicians will adapt to the acoustic. For example, if you have an acoustic bass player in a bass-resonating room, he plays differently, to make it sound nicer under the given acoustic conditions. This also works for other acoustic instruments, such a violins. From this perspective, one way of viewing Clarity, is, that it slightly modifies the music to sound better under too reverberant conditions. Strength of Clarity can be controlled, i.e. the degree to which the music is modified is adapted to the user’s acoustic conditions. Clarity works differently for bass and higher frequencies. Due to multiband limiting, music has often a continuously rumbling bass. And it becomes worse, if additionally the listening room has bass resonances. Clarity also restores more dynamic range in the bass. Different sound engineers do their mixes differently. But there is not a single mix which is optimal for all acoustic conditions. For example, if you have a reverberant room and if you are far away from the loudspeakers, a dry mix will do better than a reverberant mix. 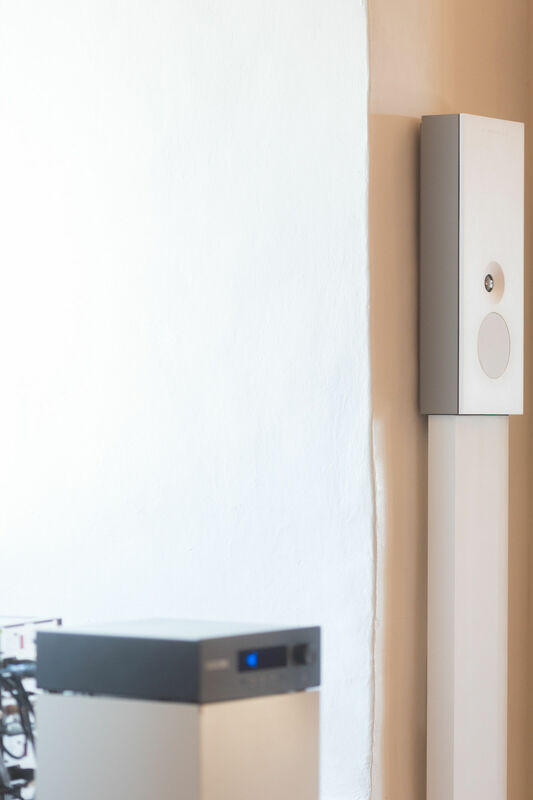 From this perspective, if your room is too reverberant, or if you are far away from the loudspeakers, Clarity will modify the mix such that it works better under these conditions. If the given mix is already dry, Clarity will do nothing. Well known in virtual acoustics, mixes should be done from dry sources, because when you apply a reverb on a source which has already reverb, the result will be sub-optimal. Clarity counteracts two cases of “reverb-cascade” problem: reverb in the mix and your room’s reverb, reverb in the mix and Illusonic Depth/Immersion. It is easy to measure your system and room with IAP Calibration software. Send us the data plus documentation. We’ll optimise Calibration, Clarity, and Immersion for you. We are open. If you love to play with things, you can. You have the same software as we do. 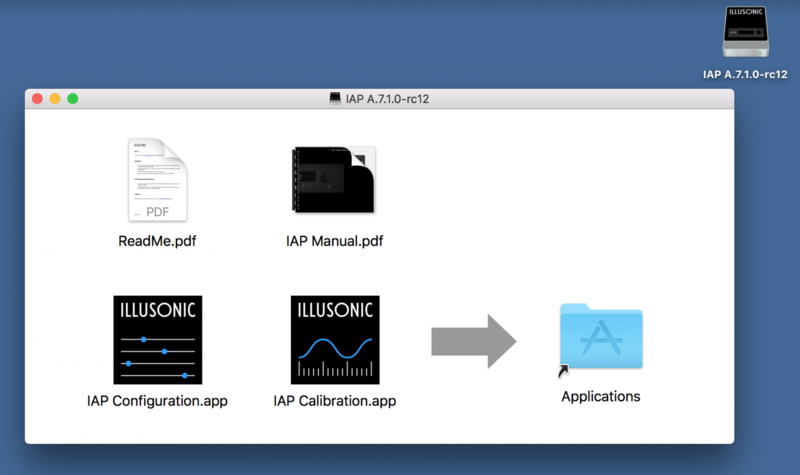 IAP Calibration software allows to measure a sound system multi-point and to optimise it linearly. The resulting room eq (and if applicable crossovers) reduce bass resonances and undesired coloration of sound. In rooms without extensive acoustic treatment, after Calibration, things are better, but still not ideal. Clarity allows you to go a step further. Depth/Immersion (short: “Immersion”) does the opposite. It adds again more room sound, but without adding coloration. Like this, sound can be made more spacious and enveloping. Below is a detailed list of changes of this latest update, compared to the previous major update version (Spring 2018 Update). Montreux Jazz compact car with built-in IAP 16. 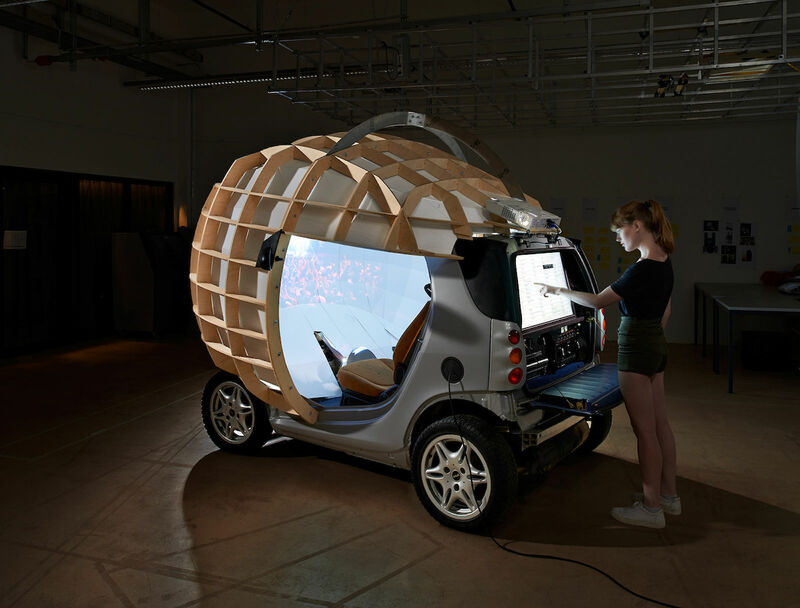 In collaboration with ECAL Lausanne art school, Illusonic implemeneted an 12.1 immersive sound system within a Montreux Jazz Archive themed compact car called “Nina”. 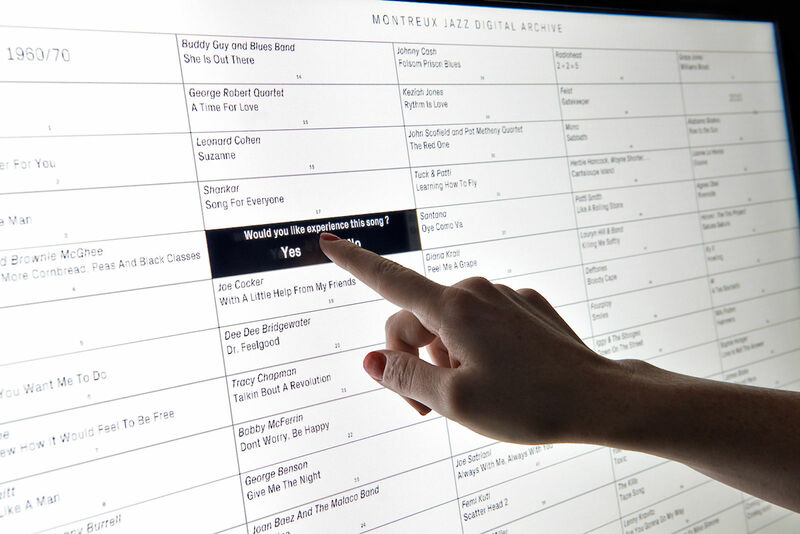 The result is shown at this year’s Montreux Jazz festival. 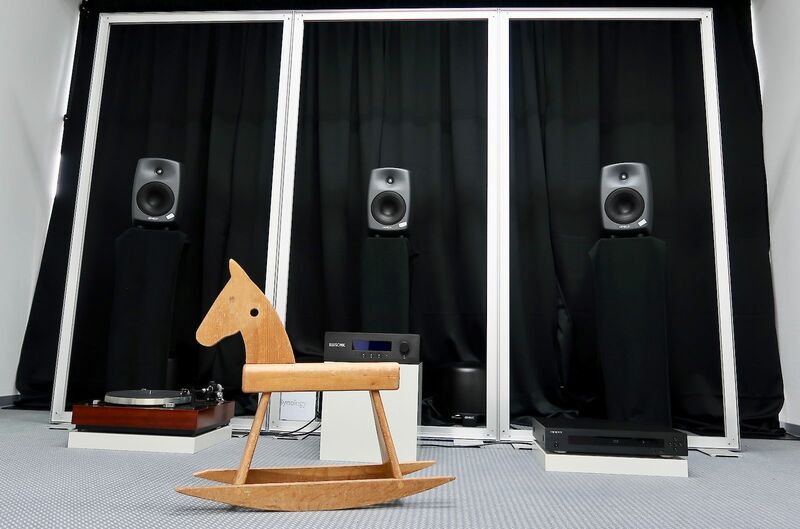 This year, Illusonic will again exhibit at the worlds large Hi-Fi exhibition, High End Munich 2018. We are just about sound and will again feature a sound transparent wall STW to hide the audio equipment. Just listen, it’s just about sound! You can look behind the STW, to see which modern precision audio components enable the amazing sound. Optimised by an Illusonic Audio Processor IAP. A lot of RD went into IAP since last year. IAP is the audio processor evolving constantly, without a need for hardware upgrade. Our first 2011 model gets still, and will for long, get new firmware software updates. Our goal ist to build timeless audio processors, timeless Preamp-Processor-DACs, with the most innovative and best signal processing inside. 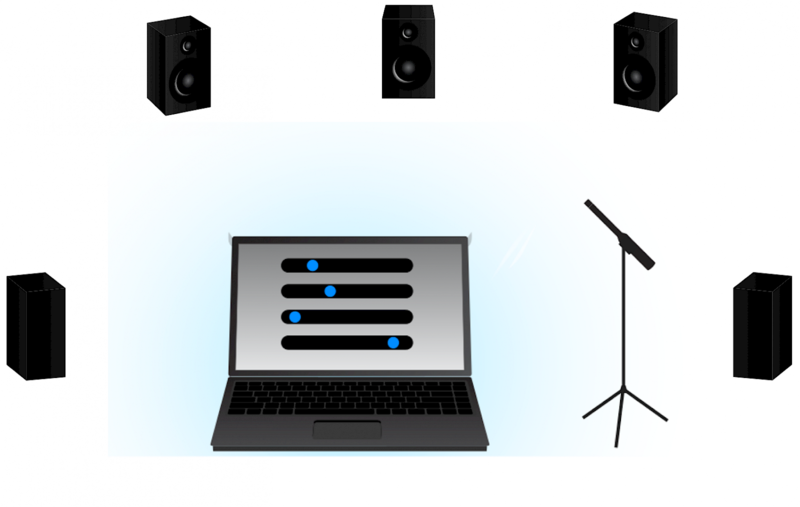 The various models IAP 2, IAP 4, IAP 8, IAP 16) cover any imaginable application scenario, from audiophile 2-channel stereo, to active cross-overs, to subwoofers, to multi-channel and immersive audio, and multiroom systems. Illusonic’s service optimizes any of these scenarios in an unprecedented way. A movie showing installation of our demo room, including a sound transparent wall. IAP Version 6 Firmware/Software Update. The Spring 2018 IAP Firmware/Software updates all IAP models to the latest state. Below are highlights and a detailed list of changes. Depth/Immersion now more spectacular and more clean. Amazing how sound becomes more spacious, even with only two loudspeakers. Not to mention the immersion which is generated with multi-loudspeaker setups. 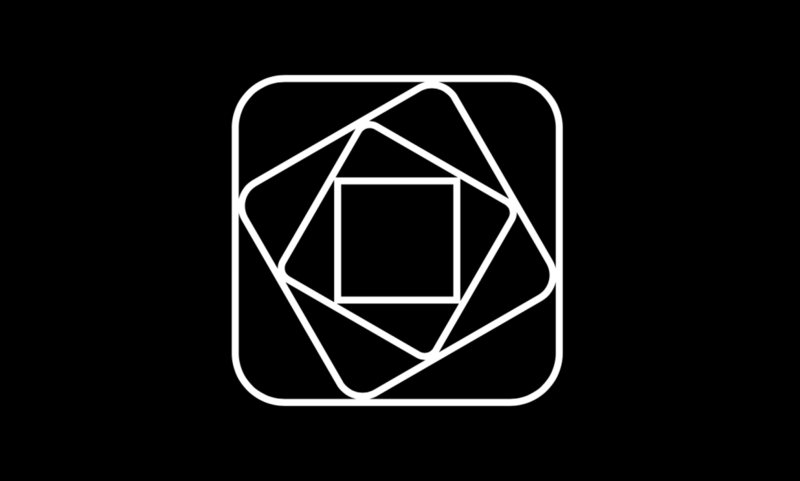 We have put months of effort into revising IAPs’ Depth/Immersion algorithms. A goal has been to make their effect more balanced across different music. Ideally a single Depth/Immersion setting should work well for all types of music. We have come closer to that goal, by introducing new mechanisms which automatically adapt Depth/Immersion levels to the source – like a couple of little sound engineers hidden within IAP, actively mixing Depth/Immersion. Additionally, we have improved the de-reverb algorithms on Depth/Immersion inputs, to “un-cloud” the signals before generating early and diffuse reverberation. This makes sound cleaner in general and prevents unpleasant “reverb cascade” effect. Orientation is a new feature, apply to any loudspeaker setup with surround channels. Well, why not once listening with an orientation towards the window? Or have a joint-audiophile and movies setup, where frontal orientation is used for movies and rear orientation for music? Orientation works by the touch of a button! All is automatic, all is always optimal. Immersive keeps working. Calibration and crossovers remain optimal. 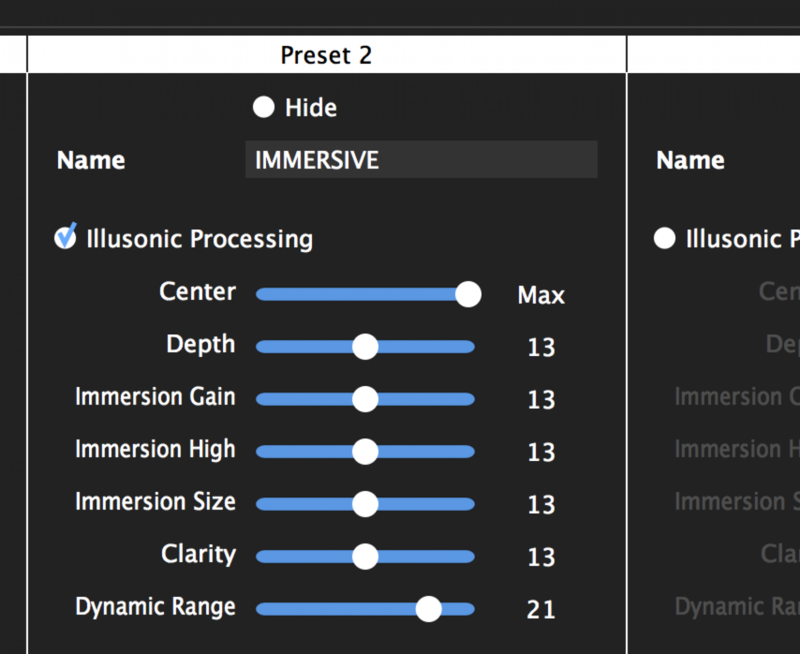 You can define an orientation in each sound settings preset. 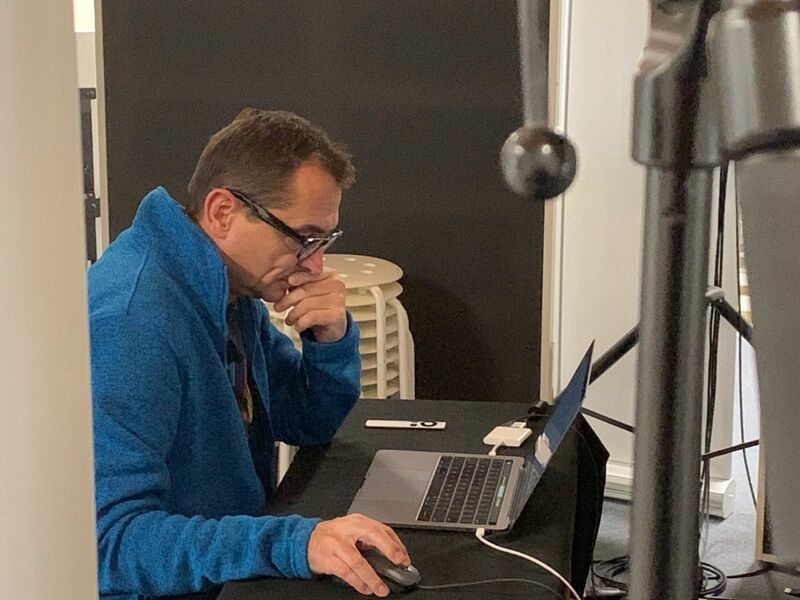 A number of installers and sound engineers have been using IAP Calibration and have enjoyed its real-time operation (as you move controls, sound reacts instantly, like on a mixing console) and numerous AB comparison options. new improved subwoofer/crossover features, aiding time alignment, bass cancellation calibration, etc. Below is a detailed list of changes of this latest update, compared to the previous major update version (Winter 2018 Update). The Winter 2018 IAP Firmware/Software updates all IAP models to the latest state. Below some highlights and a detailed list of changes. While the Winter 2017 release brought major improvements to the Depth and Immersion, this release incorporates a major improvement to the Center center, released after more than 5 years of development. While we thought that our previous center channel worked very well, it has only been now, in comparison to the new algorithm, what additional potential there was! 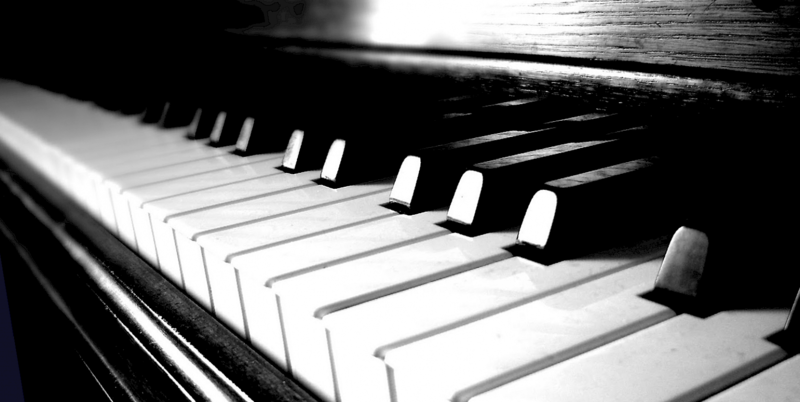 The new algorithm works in 97 frequency bands – more than the number of keys of a piano! This allows separation of simultaneous tonal instruments, such as a soloist center violin, while other off center strings are playing. Also, the new algorithm works with stereo phase and delay differences, preventing any timbral coloration when left-right delays occur in a recording. At higher frequencies, similar to the human hearing system, delay differences between the frequency-band temporal-envelopes are considered. Thus, even left-right uncorrelated signal is now routed to center when needed. The result is a center channel which sounds brilliant and full band. IAP Controller has been updated to support the new upmix/center feature. Below is a detailed list of changes of this latest update, compared to the previous major update version (Spring 2017 Update). As of today, all IAP models ship with HDMI 2.0 and 4k support. Current IAP owners can upgrade their IAP to HDMI 2.0 for CHF 800.00 (Swiss Francs) plus shipping.